The Nutcracker Bear, star of the Boston Ballet’s popular Christmastime production, has amassed a major following on social media over the years. Photos and videos of the creature, which is large, poofy (and sort of disturbing) yet can plié with the rest of them, are routinely liked and shared thousands of times. There are, of course, other bears of note in Boston. So it was only a matter of time before these two, an iconic duo if I’ve ever seen one, joined forces: Nutcracker Bear, and Keytar Bear. Masters of stage and sidewalk; of tinsel and T stop. The iconic duo teamed up for a new video promoting the Boston Ballet’s Nutcracker, which will be at the Boston Opera House through December 30. Filmed at the dance institution’s headquarters on Clarendon Street, the Nutcracker bear (who by day is a dancer named Desean Taber) takes center stage in the video: lunging, twirling, and pulling off its best-known move, the mid-air split, four times in a row. In the background stands Keytar Bear (true identity unknown) who plays a note-perfect rendition of Tchaikovsky’s Russian Dance while dressed in a regal prince outfit. We apparently have the fans on social media, who now number more than 200,000 on Instagram alone, to thank for bringing the collaboration to life. She says the rather complicated music accompaniment was no trouble for Keytar Bear to pull off. He had already been playing tunes from the ballet while out on the town this season. 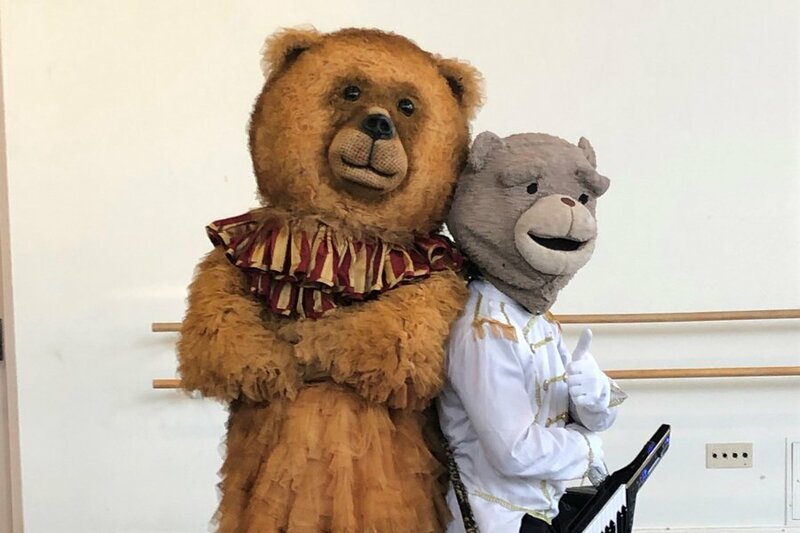 And although Keytar Bear is now in high demand, and can be booked for various parties and public events for a fee, the ballet says he wanted to do this one pro bono.